Fifty years ago this winter, a show business "dream team" was hard at work on what was to become one of the greatest musicals in Broadway's post-World War II golden era. ANNIE GET YOUR GUN, marking its 50th Anniversary in 1996, will be celebrated by both The R&H Theatre Library and the Irving Berlin Music Company throughout the year. This is the story of how the sharpshooter from the Ohio hills and the songplugger from the Lower East Side came to even greater success together by "doin' what comes natur'lly." The songs are by Irving Berlin. But the idea was born with Dorothy Fields, and she hit the mark as soon as she could see it - Ethel Merman as Annie Oakley. Bullseye! It was the mid '40s. In the turbulence of World War II, American society had undergone as fundamental a change on the homefront as in the war itself: women were taking on greater roles in the male hierarchy and it was clear they weren't turning back. Dorothy Fields, a skilled lyricist, book writer and seasoned theatrical pro, was herself a pioneer in a man's world. She could sense the mood and knew that the time was right for a musical comedy about the legendary female sharpshooter who toured with Buffalo Bill and eventually married her rival and co-star - the story, essentially, of a woman competing in a man's world and winning. Annie herself was a dynamite role, and Ethel Merman needed little convincing to play her; Dorothy's brother and fellow bookwriter, Herbert Fields, signed on to the project too. Now all they needed was a producer, and a composer for Dorothy's lyrics. The Fields' longtime producer Mike Todd turned them down. Undaunted, Dorothy took the idea to a team of new producers. To be specific, they were novice as producers only - by the autumn of '45, Richard Rodgers and Oscar Hammerstein II were at the top of their profession as authors, with OKLAHOMA!, CAROUSEL and the movie of STATE FAIR securing their reputation as Broadway's most successful writing team. 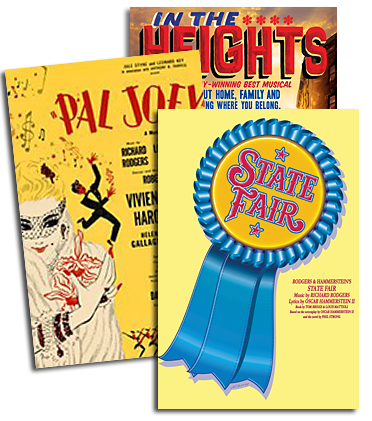 But now Rodgers and Hammerstein wanted to produce shows as well - leading them to establish an office that, we're happy to note, is still in business fifty years later. 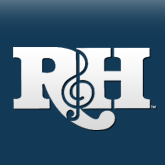 Not surprisingly, having written three musicals in a row that were steeped in vintage Americana, R&H were happy to leave the writing of this one to someone else. But they were still eager to be a part of it and so added ANNIE OAKLEY (as it was then called) to a growing production roster that already included John van Druten's 1944 play I REMEMBER MAMA and an incoming revival of Hammerstein and Jerome Kern's SHOW BOAT. Coincidentally, Kern was also everybody's first choice as composer for ANNIE OAKLEY and, happy to be working with old friends again, readily signed on. On November 3, 1945, Jerome Kern returned to New York from Hollywood to start work on the project. On November 4, at the corner of Park Avenue and 57th Street, he collapsed on the sidewalk, the victim of a stroke. On November 11, he died. The ANNIE OAKLEY team had lost a collaborator, and more importantly, a close friend. However, the creative team felt the show must go on. The search for Kern's replacement was as brief as it was obvious. America's most popular songwriter, a hitmaker in the 'teens, a Broadway celebrity in the '20s, a Hollywood melody man in the '30s and a patriot who had spent the early '40s touring the front lines in his own musical revue, THIS IS THE ARMY, was now back at home, trying to decide what to do next. ANNIE OAKLEY and Irving Berlin? Another bullseye. At first, Berlin was reluctant. There was the issue of billing - he was accustomed to doing entertainments headlined "Irving Berlin's..."; this one was clearly a team-effort Broadway musical. In addition, while he had written a handful of musical comedies before - the last being LOUISIANA PURCHASE in 1940 - Berlin was more assured in the book-less revue format which he had perfected in editions of the ZIEGFELD FOLLIES and his own MUSIC BOX REVUES. Finally, he was honest enough to admit that, having been away for five years, he wasn't sure he still knew the territory. After all, Rodgers & Hammerstein had revolutionized musical theater with OKLAHOMA! while Berlin had been on the road. Surveying this new Broadway, Berlin recognized that the rules had changed, and he wasn't sure he still wanted to play by them. But the ANNIE OAKLEY team persisted, so Berlin considered the offer. ANNIE OAKLEY, he realized, could provide the ideal comeback for this soldier home from the war, and with the strongest support he could hope for. As a first step, he agreed to read the script. He liked it, but still had doubts. What did he know about hillbilly music? What did he know about Annie Oakley and cowboys? True, for a city boy born in a Russian shtetl and raised in the Lower East Side, Berlin had quite a passion for the Great Outdoors, and riflesport in particular. But how would that help him make these characters sing? Then again, wasn't this essentially a love story? And wasn't it really about show business - his business? Early in the winter of 1946, Berlin exiled himself to Atlantic City and, after just one week, returned with a portfolio of fresh material. He sat down at a piano, facing a tough crowd - Rodgers, Hammerstein, the Fields, and the show's newly hired director, Josh Logan. He sang "Doin' What Comes Natur'lly," "They Say It's Wonderful," "The Girl That I Marry," "You Can't Get a Man with a Gun," and a little ditty for the scene changes called "There's No Business Like Show Business." Hit. Hit. Hit. Hit. Hit. That spring, recalls Berlin's daughter Mary Ellin Barrett in her biography-memoir of him, "things proceeded with remarkable speed and harmony." With Merman as Annie, Ray Middleton was hired to play Frank Butler, her rival/love interest; their chemistry proved so ideal that only days before rehearsal began, Berlin whipped up one more sensational duet for them: "Anything You Can Do, I Can Do Better." Freshly titled ANNIE GET YOUR GUN, and cheered as loudly out-of-town as on its New York opening night, this was the comeback show that Irving Berlin had been hoping for. A smash on Broadway (where, for many years, it was the only musical not by Rodgers & Hammerstein at the top of the longevity charts), on the road with Mary Martin, in London with Dolores Gray, and eventually Hollywood with Betty Hutton (replacing an ailing Judy Garland), the success of ANNIE stayed with Irving Berlin for the rest of his life. It was still going strong when Merman starred in a Lincoln Center revival in '66 (for which Berlin wrote "An Old Fashioned Wedding"), and it triumphed through several television broadcasts, studio recordings, and hundreds of stock and touring revivals. To date, more than 400 productions of ANNIE GET YOUR GUN are given in the U.S. and Canada every year. An intuitive artist and, yes, a sharp shooter, Irving Berlin must have had a sense of this oncoming success when ANNIE GET YOUR GUN opened on Broadway fifty years ago. On opening night, May 16, 1946, he sent a telegram to his producers. "To look at him you wouldn't think it was fun, but it was," he wrote to Rodgers and Hammerstein. "So thanks for asking me."